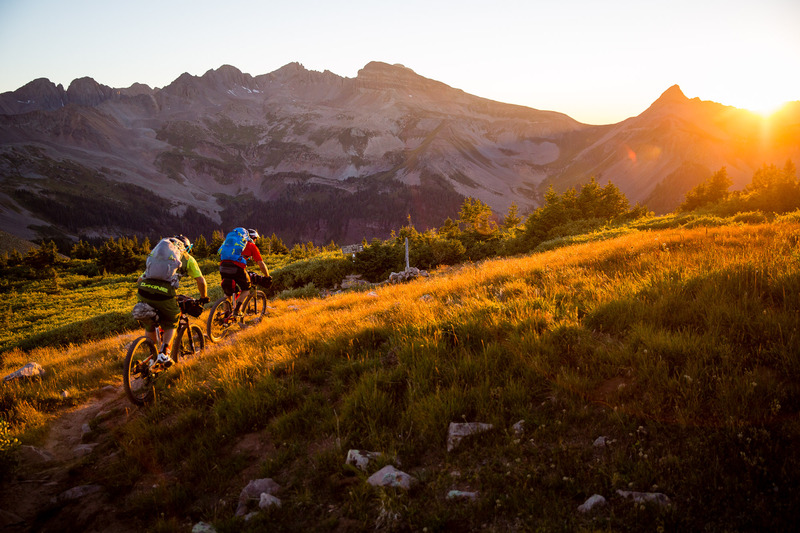 Eric Porter and Jess Pedersen soaking up the last bit of light over the La Plata Mountains on the Colorado Trail. 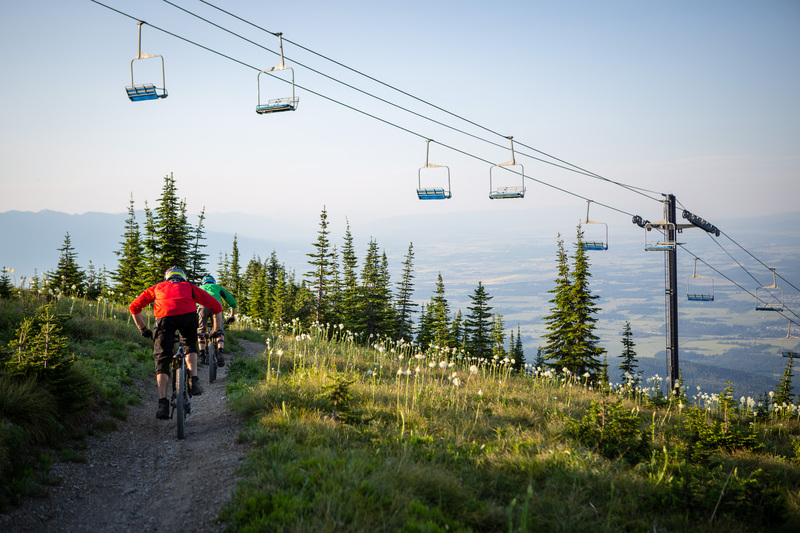 Rowan Yerxa and Josh Poulsen riding lift-accessed trail at Big Mountain in Whitefish, Montana. 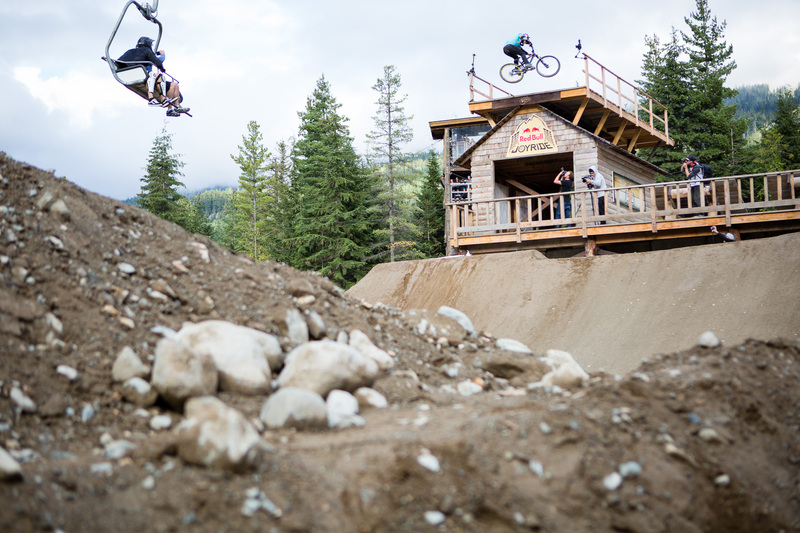 Mike Kinrade and Darren Butler tear down the Peak To Creek trail at Retallack Lodge, BC, Canada. 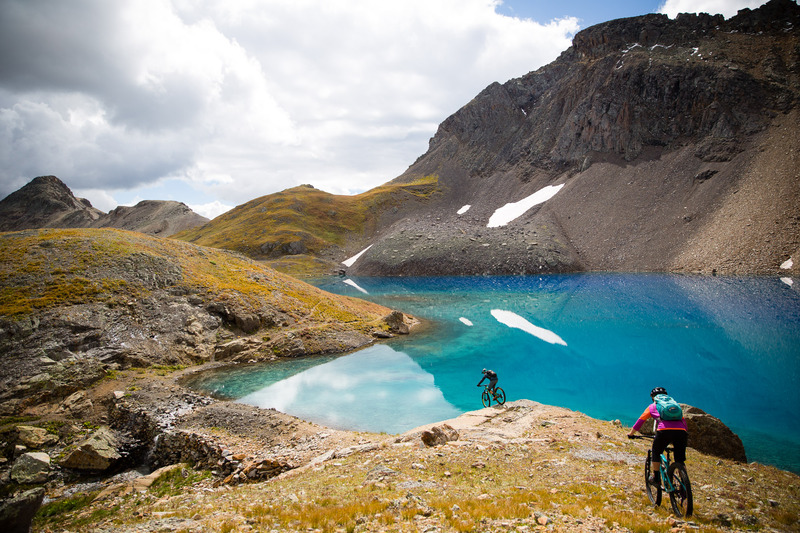 Whit Boucher riding a sliver of lakeside trail at Columbine Lake. 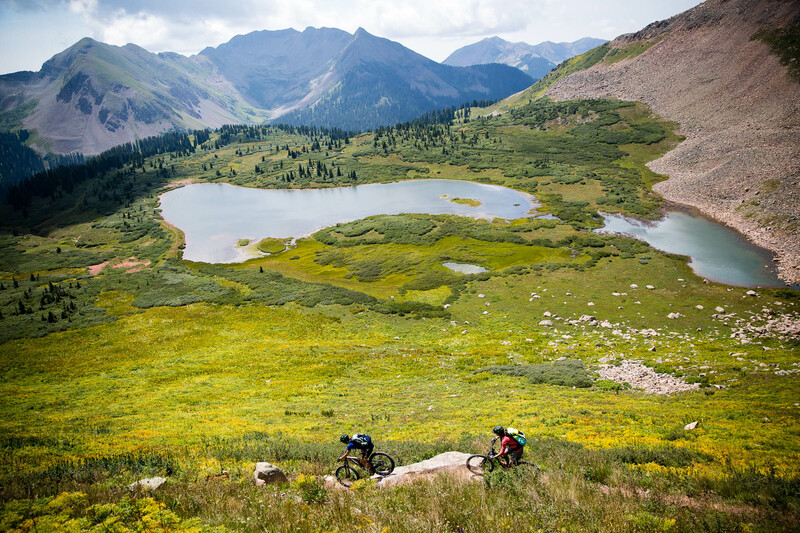 San Juan Mountains, Colorado. 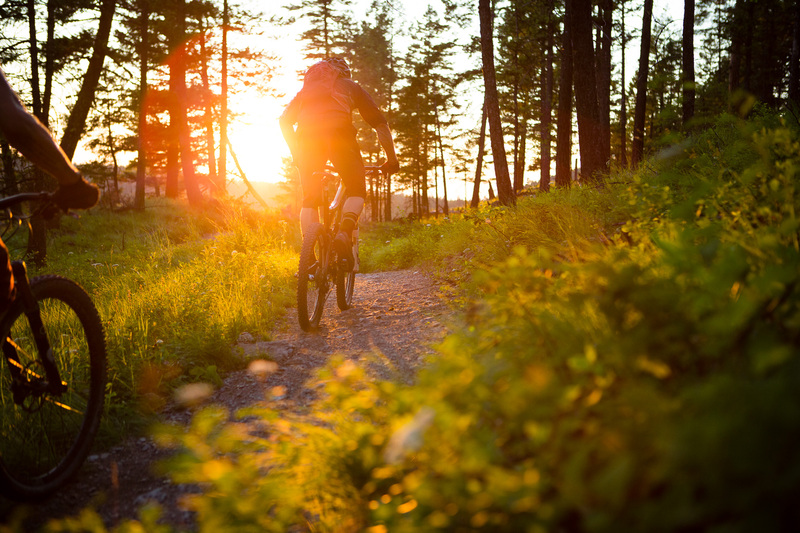 John Yaseen on the Salt Creek Trail outside of Rico, Colorado. 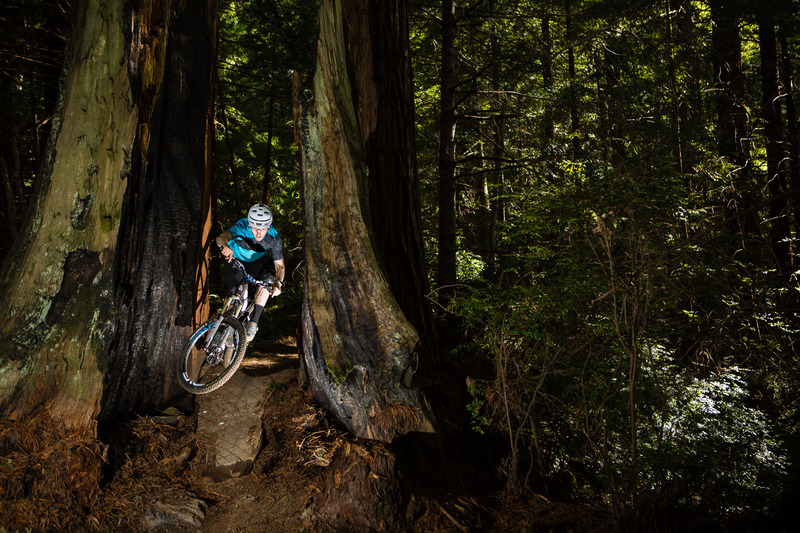 Kyle Warner splitting stumps near Arcata for a story on Humboldt Country mountain biking in California. 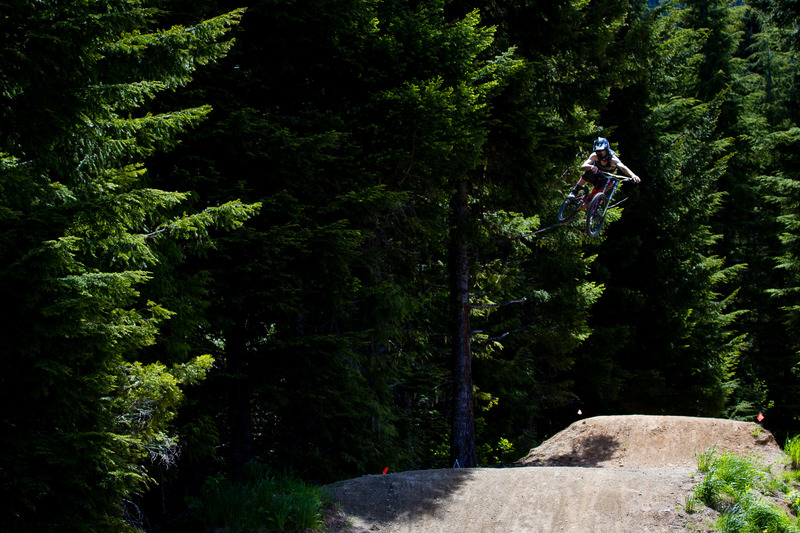 Garrett Buehler airing over the forest at Retallack Lodge, BC, Canada. 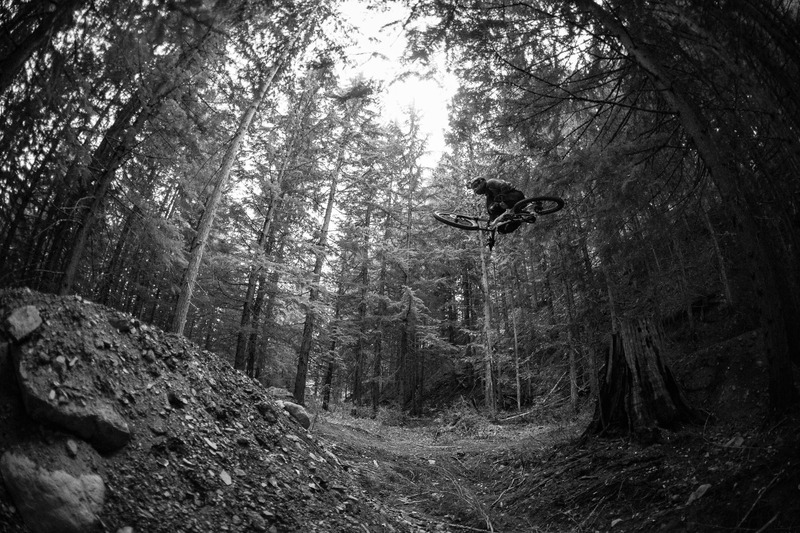 Dennis Martin riding spines in Durango. 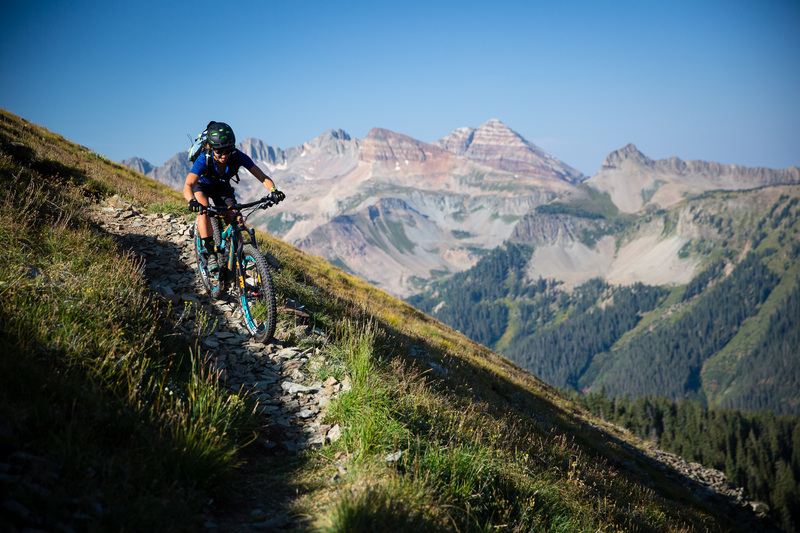 David Ziegler on the Upper Wasatch Trail outside of Telluride, Colorado. 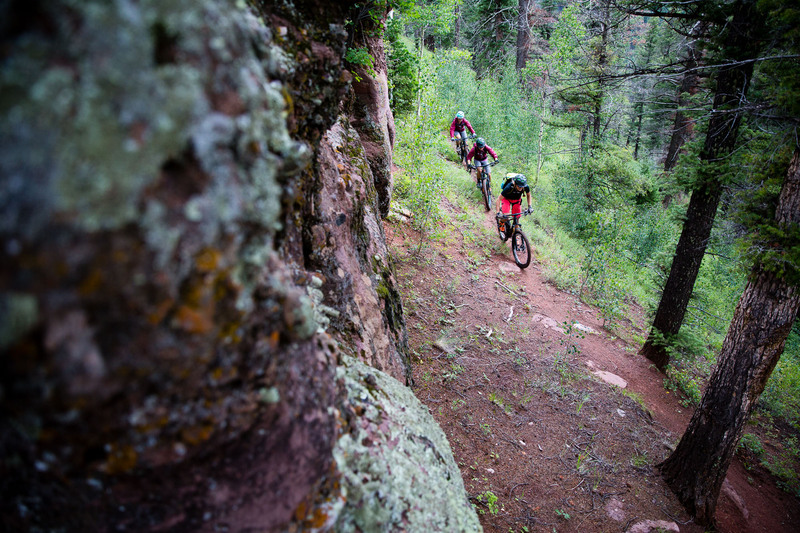 Jess Pedersen and Eric Porter mountain biking a classic spot of the Colorado Trail near Molas Pass. 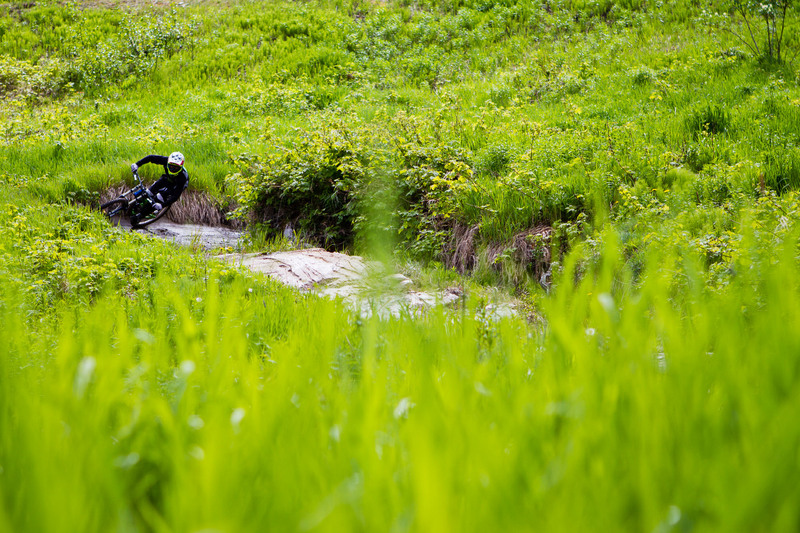 Mark Wallace in the berms near Saint Raymond, Quebec, Canada. 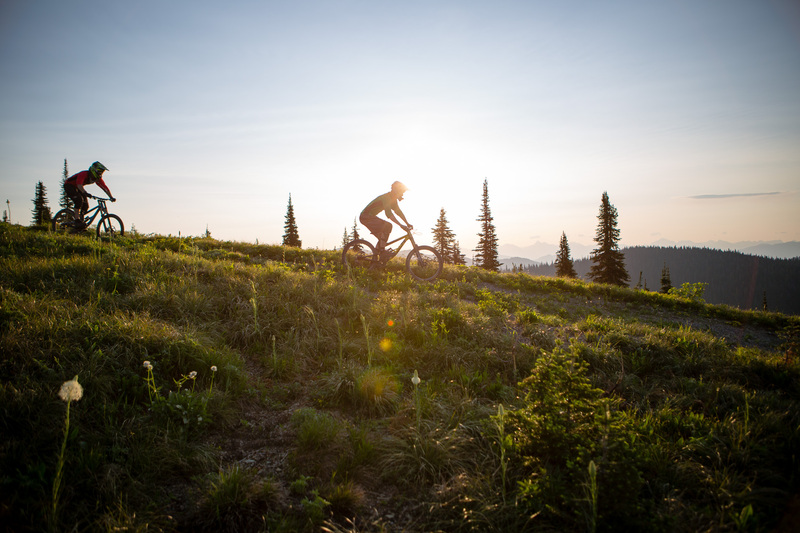 Rowan Yerxa and Josh Poulsen up at first light at Big Mountain in Whitefish, Montana. 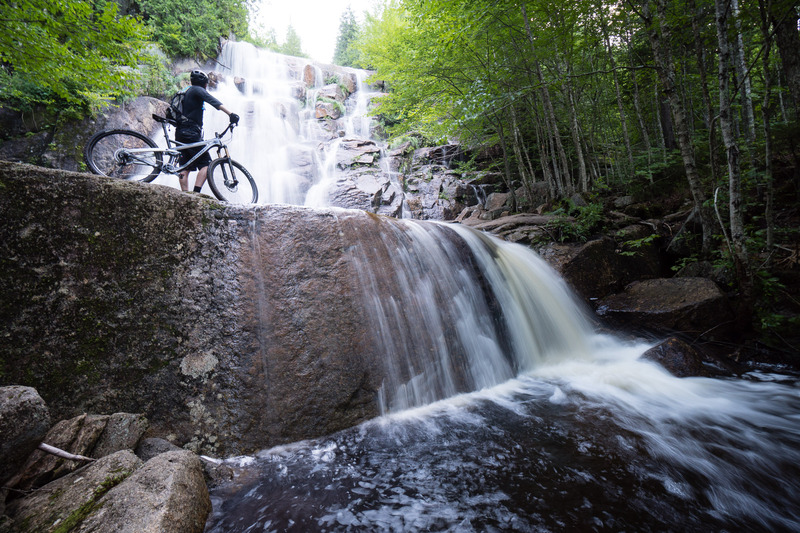 David Reigner-Bourque chasing waterfalls in Vallee Bras Du Nord, Quebec, Canada. 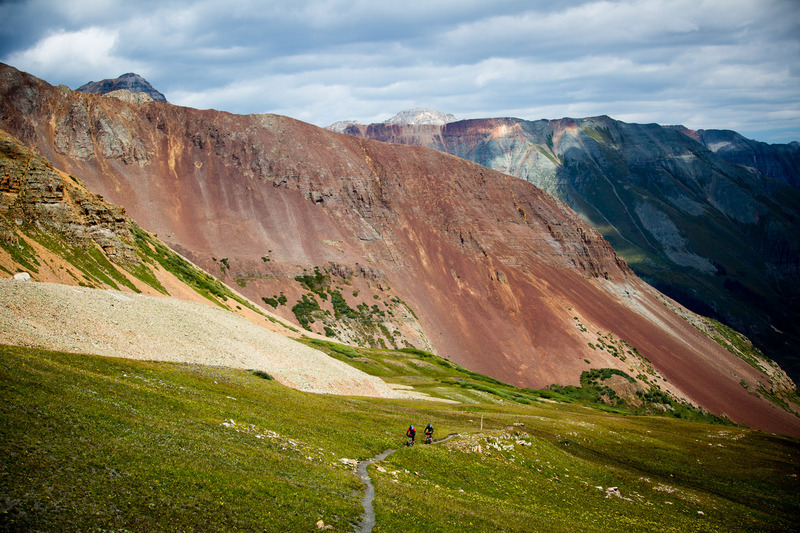 Exploring old mining mule trail from the Opus Hut in the San Juan mountains of Colorado. 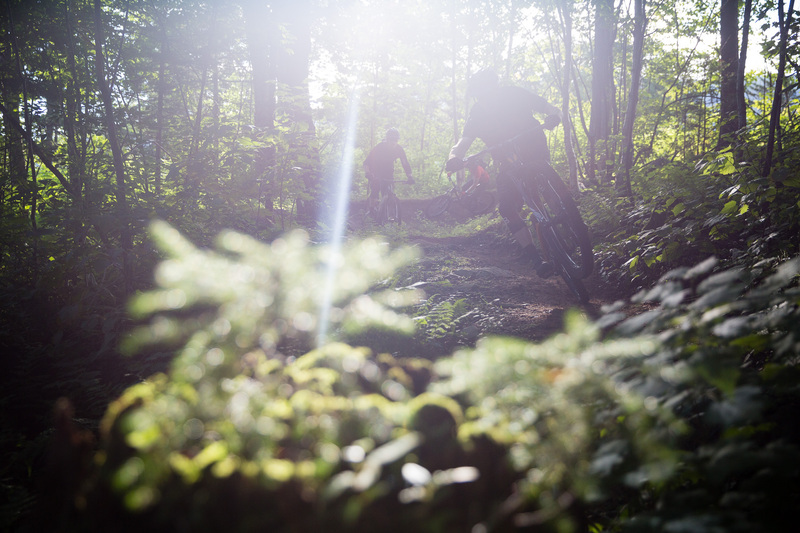 Josh Poulsen and Brandon Watts milking the last bif ot light on the Whitefish trail in Whitefish, Montana. 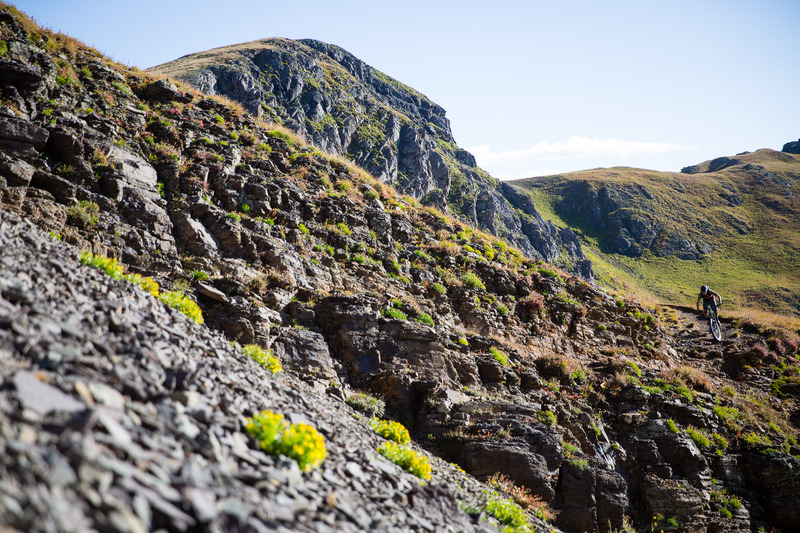 The rocky and rough Indian Ridge section of the Colorado Trail. 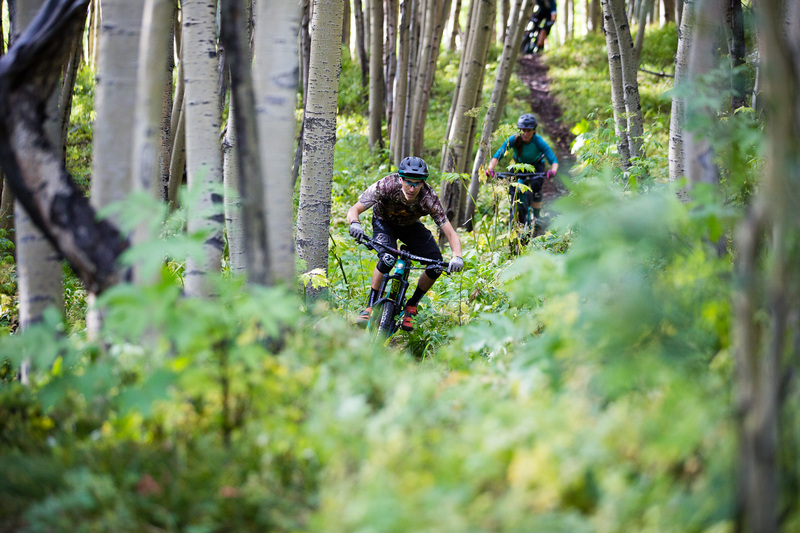 Sabina Kraushaar, Sarah Sturm and Teal Stetson-Lee on a ribbon of singletrack near Rico, Colorado. 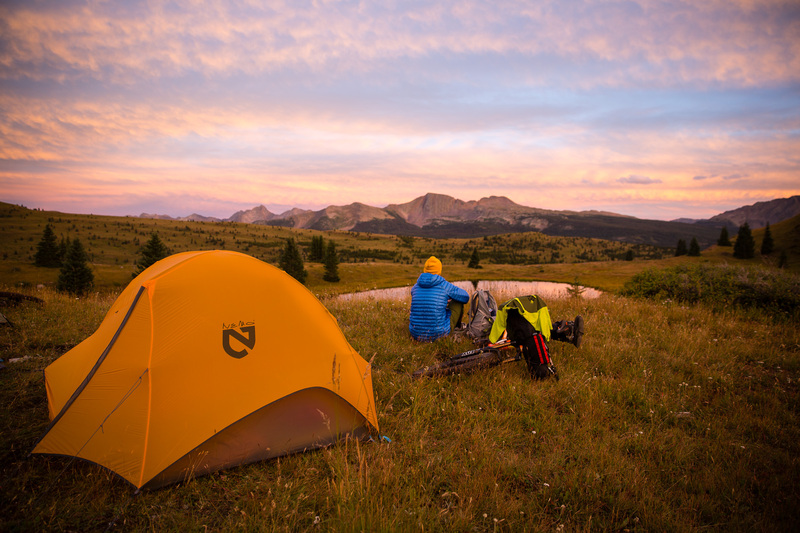 Jess Pedersen taking in the view while bikepacking the Colorado Trail near Molas Pass. 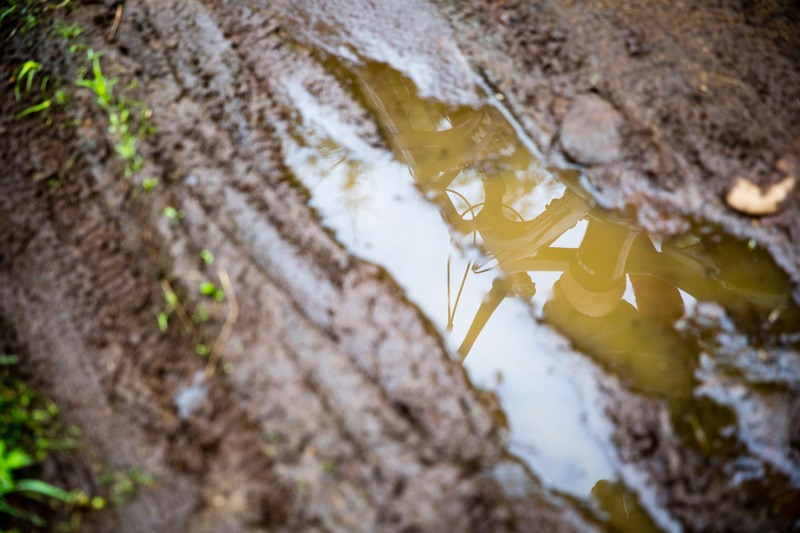 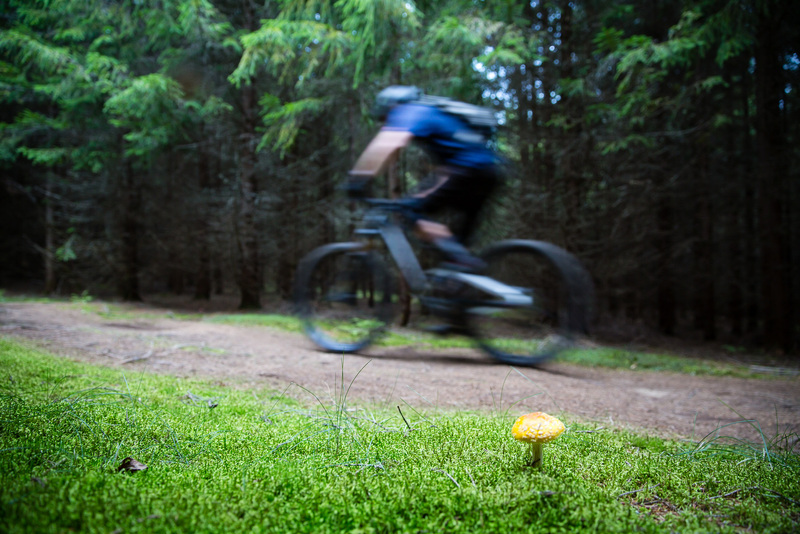 What do you know about mycelium? 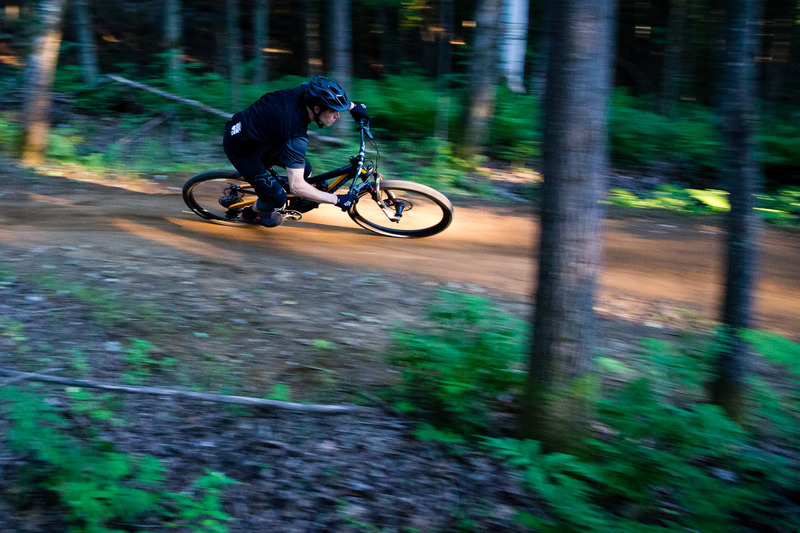 David Reigner-Bourque pedaling past some funghi in Saint Raymond, Quebec, Canada. 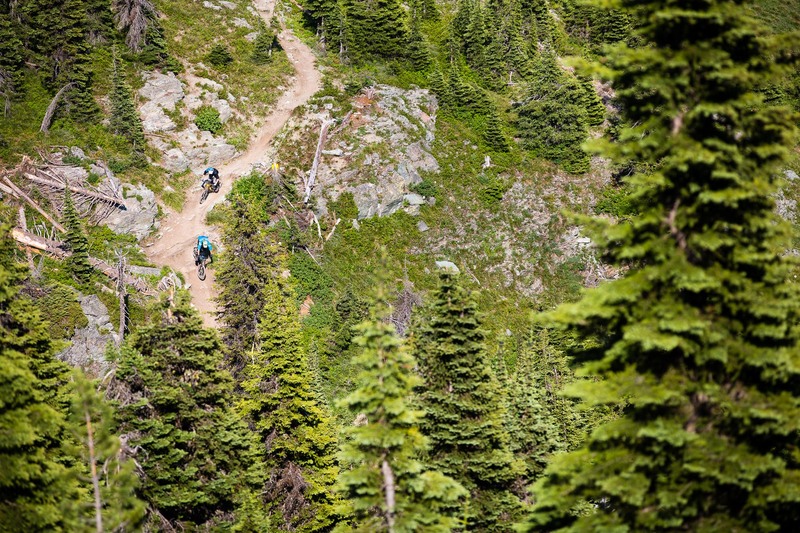 Mike Kinrade and Amber Jmaiff tear up the Peak to Creek trail at Retallack Lodge, BC, Canada. 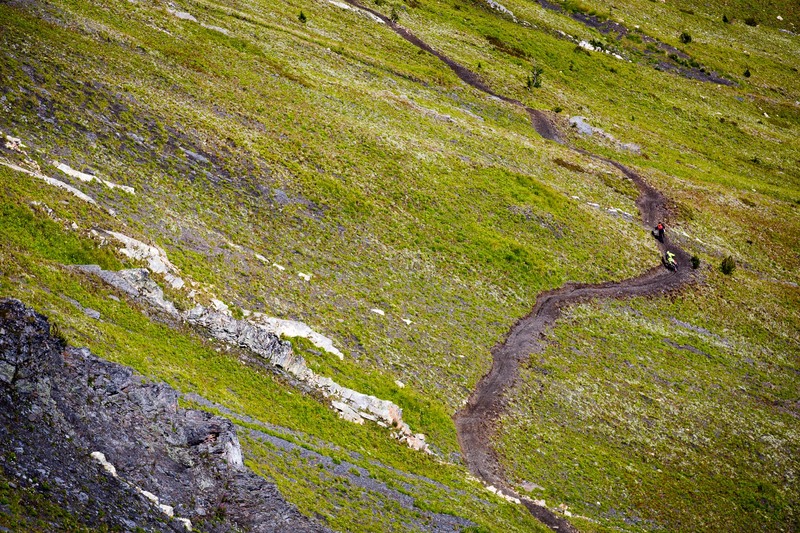 Kelli Sherbinan leading the pack on singletrack near New Denver and Retallack, BC, Canada. 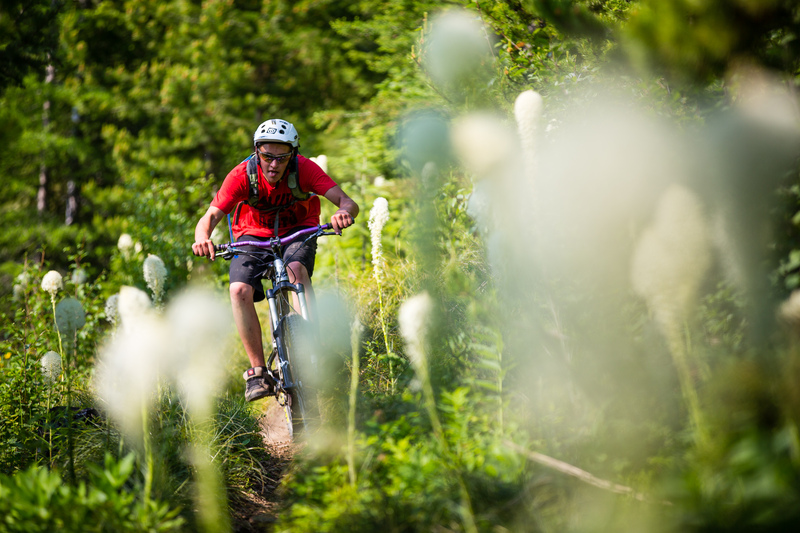 David Reigner-Bourque whipping up some chocolate milk, or “chocolat au lait” in Vallee Bras Du Nord, Quebec, Canada. 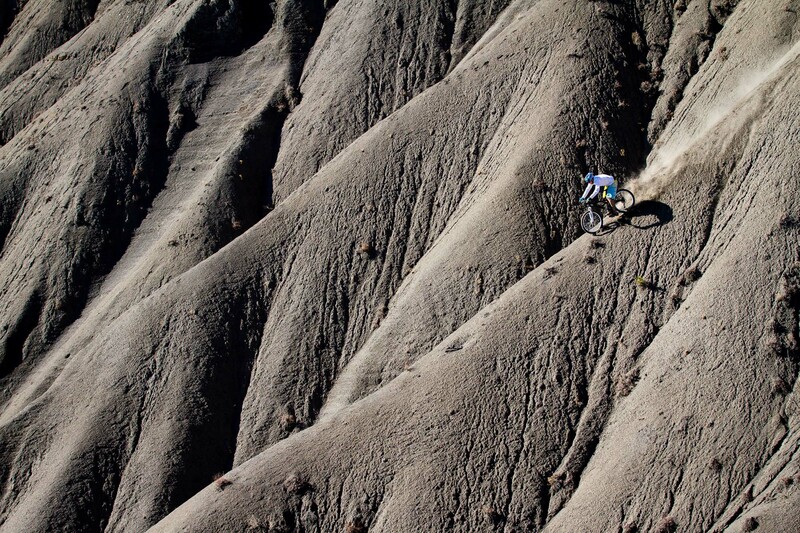 Durango’s most infamous bartender Mark Daley scrubbing through some desert dirt in town. 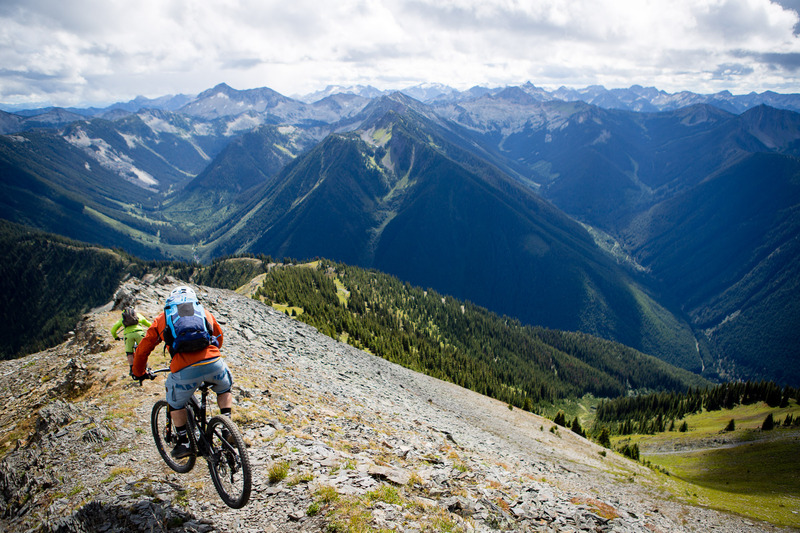 Green fields of Whistler, BC, Canada. 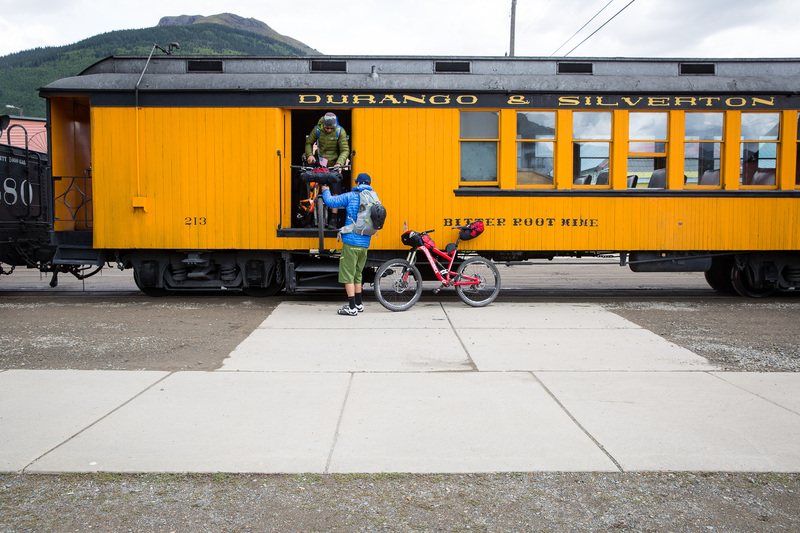 Eric Porter and Jess Pedersen unload their bikepacking bikes from the Durango Silverton narrow guage railroad in Silverton, Colorado. 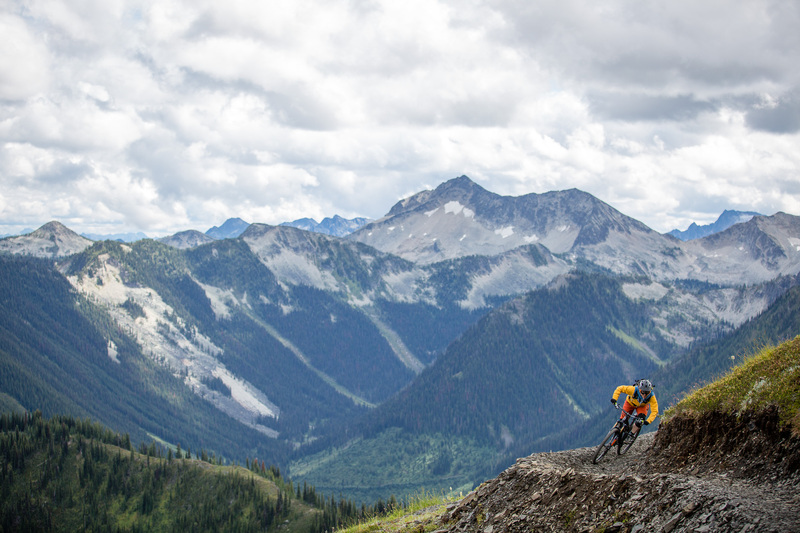 Kelli Sherbinan shredding the Peak to Creek Trail at Retallack Lodge, BC, Canada. 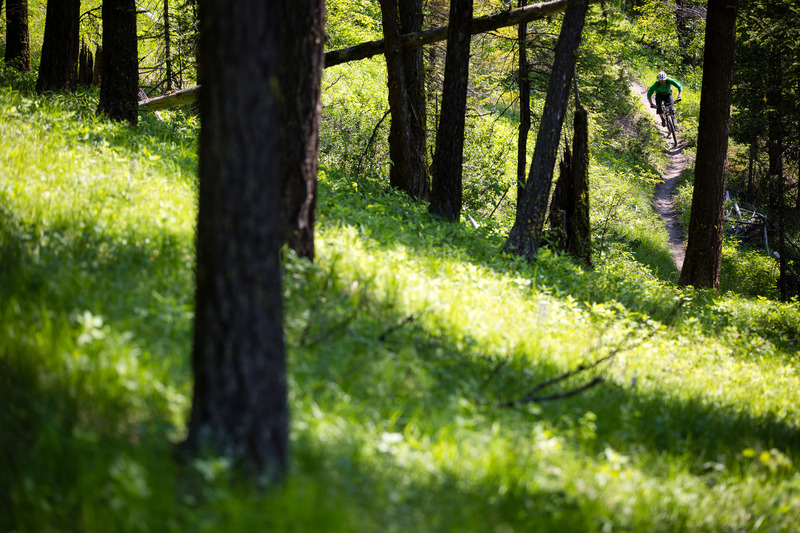 Jess Pedersen and Eric Porter riding the Colorado Trail up to Rolling Pass. 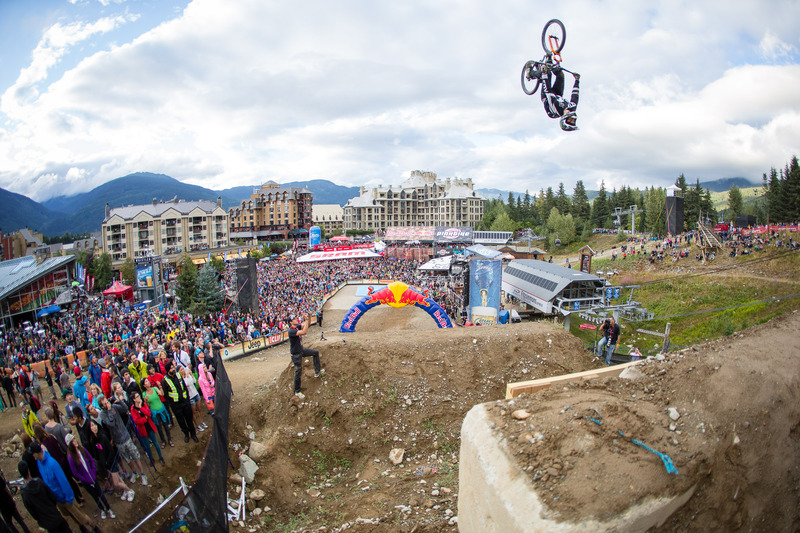 The froth is strong with the youth. 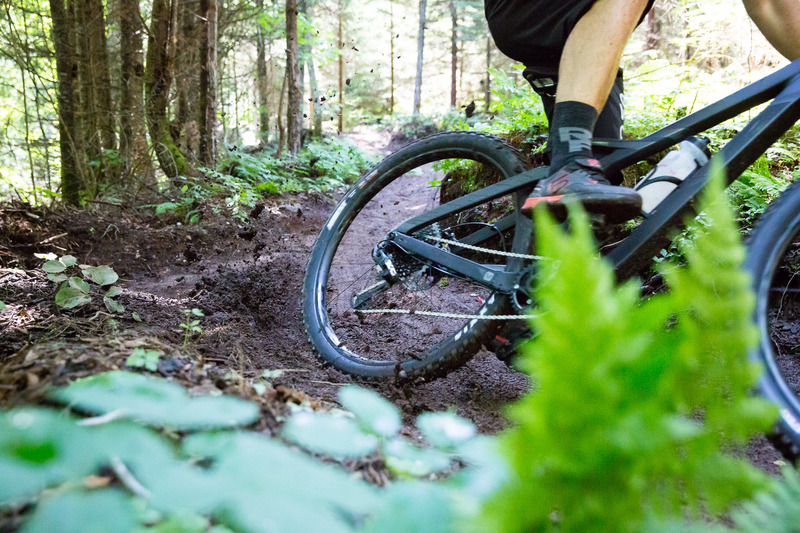 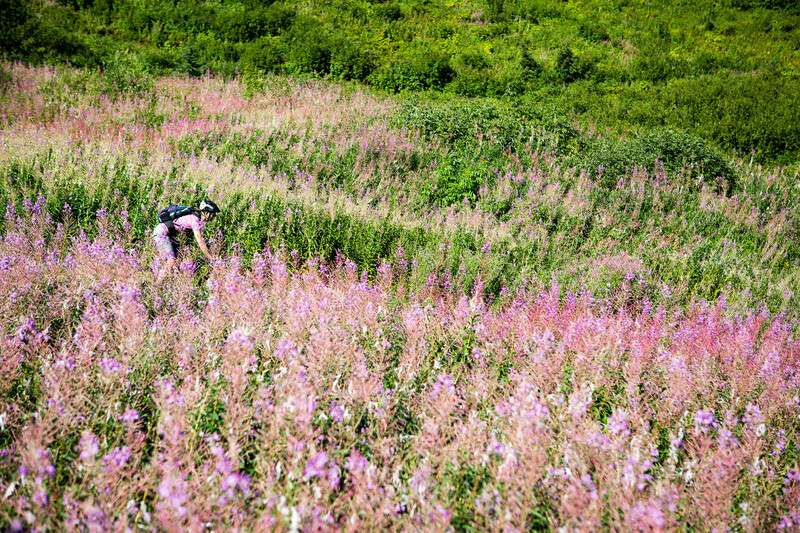 Damen Sedivy shreds backcountry singletrack through bear grass in Montana. 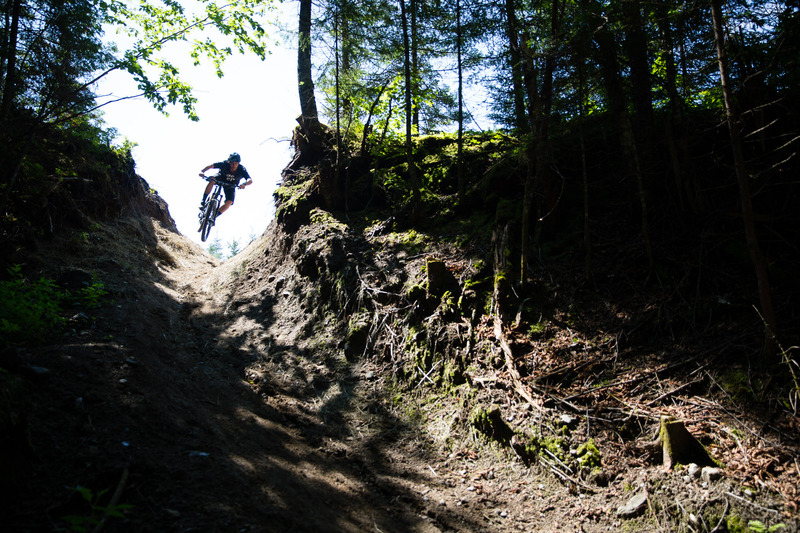 Sam Vallee roosting dirt at Vallee Bras Du Nord, Quebec, Canada. 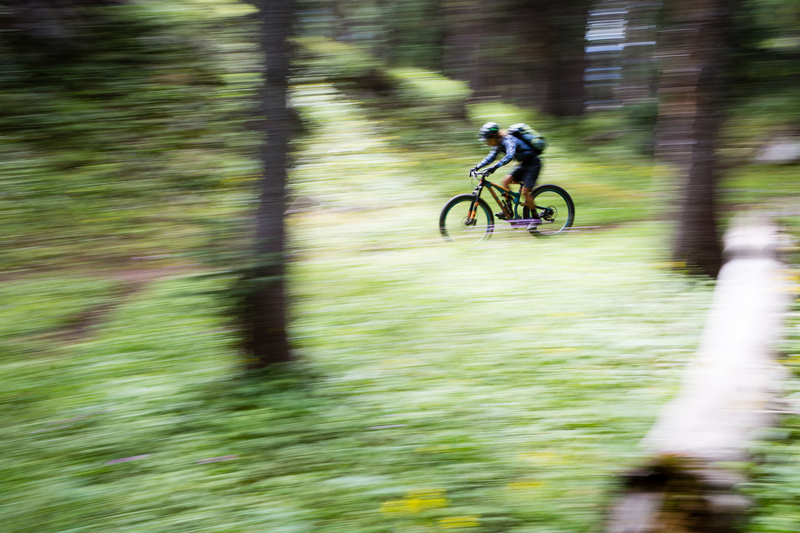 Rowan Yerxa blends into the forest on backcountry singletrack outside of Whitefish, Montana. 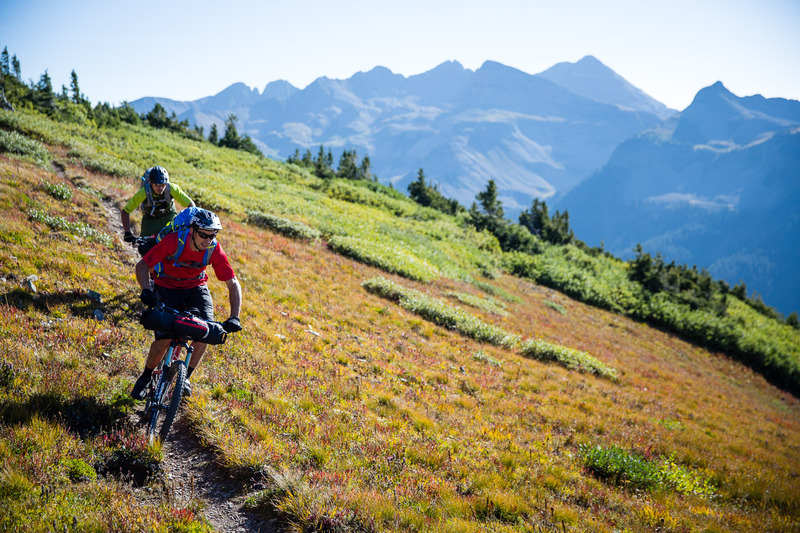 Rowan Yerxa and Josh Poulsen rolling into the Flathead Valley from Big Mountain in Whitefish, Montana. 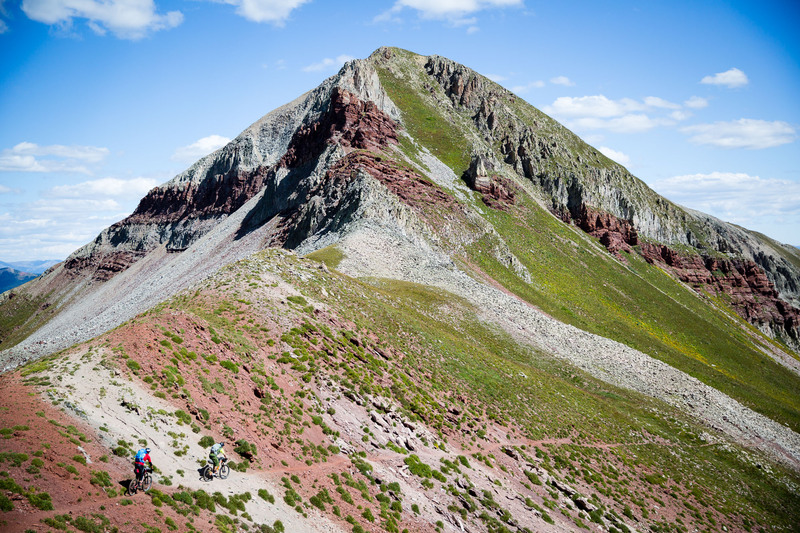 Eric Porter and Jess Pedersen railing the Colorado Trail near Indian Ridge with the La Plata mountains on the horizon. 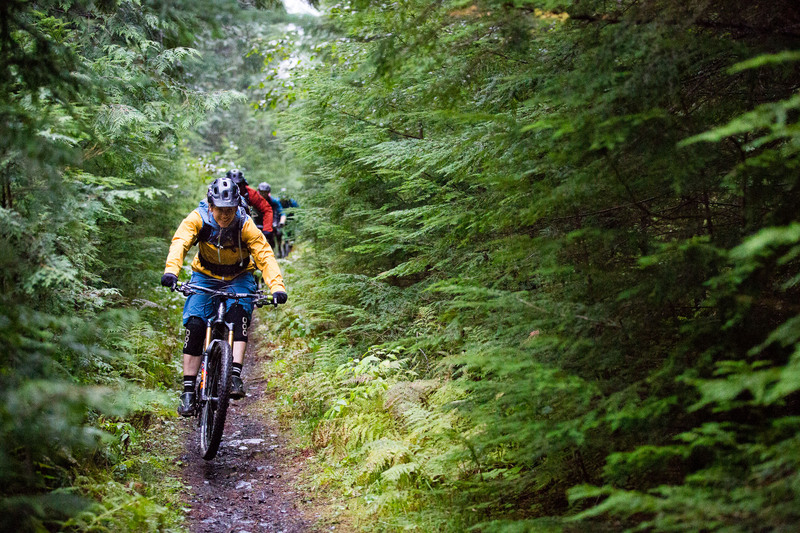 Sam Vallee sending it over a blind roll in Vallee Bras Du Nord, Quebec, Canada. 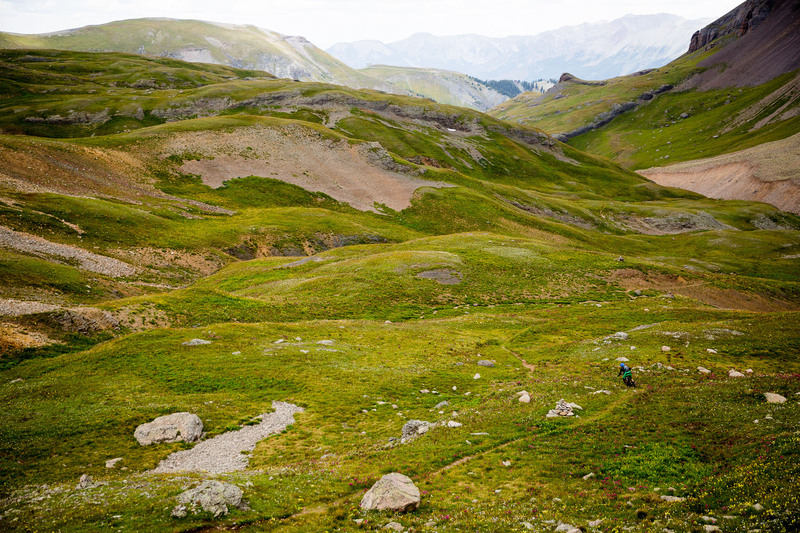 High alpine fields and singlewtrack glory in colorado’s San Juan Mountains. 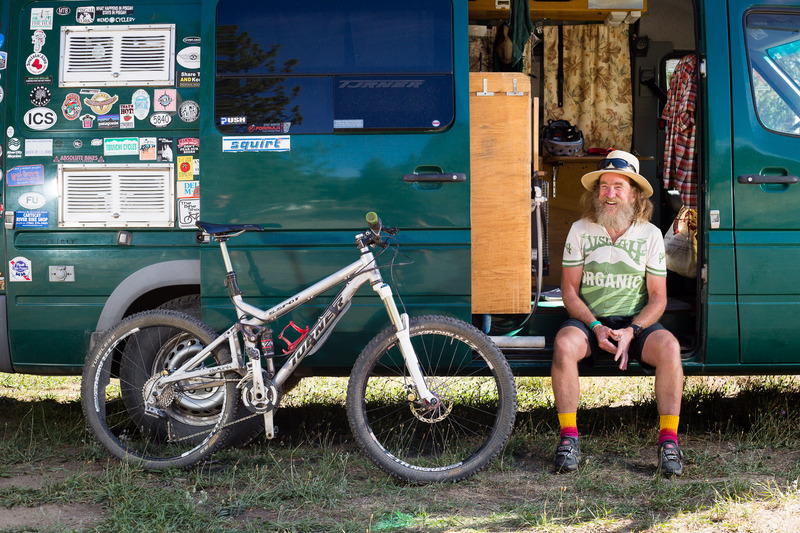 Legendary gypsy van man Craig Bierly showing us his mobile home at a trailhead near Spokane, Washington. 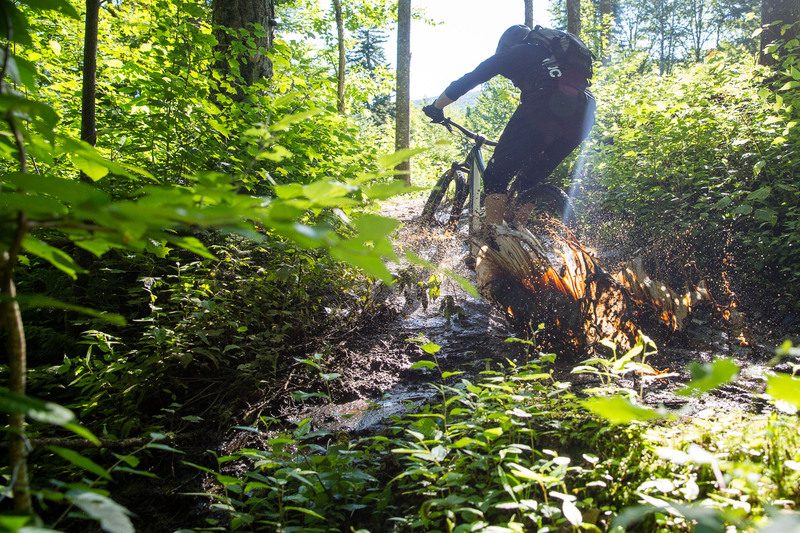 Mark Wallace ripping a wheelie and a tree growing out of a tree in Vallee Bras Du Nord, Quebec, Canada. 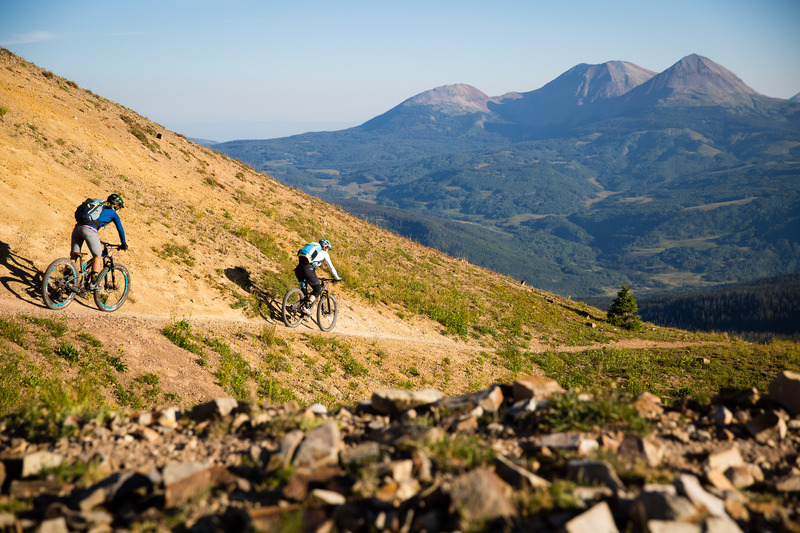 Riding into Taylor Lake and the La Plata Mountain Range on the Colorado Trail. 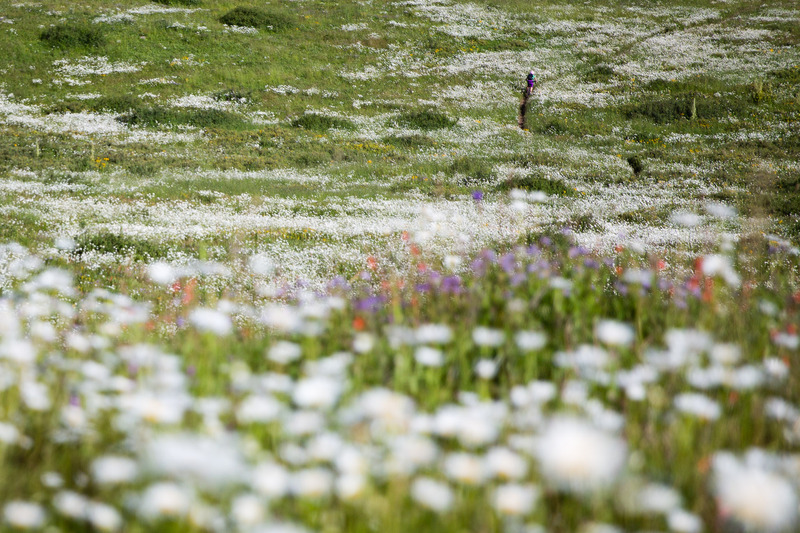 Kelli Sherbinan camoflauged in the wildflowers of Fernie, BC, Canada. 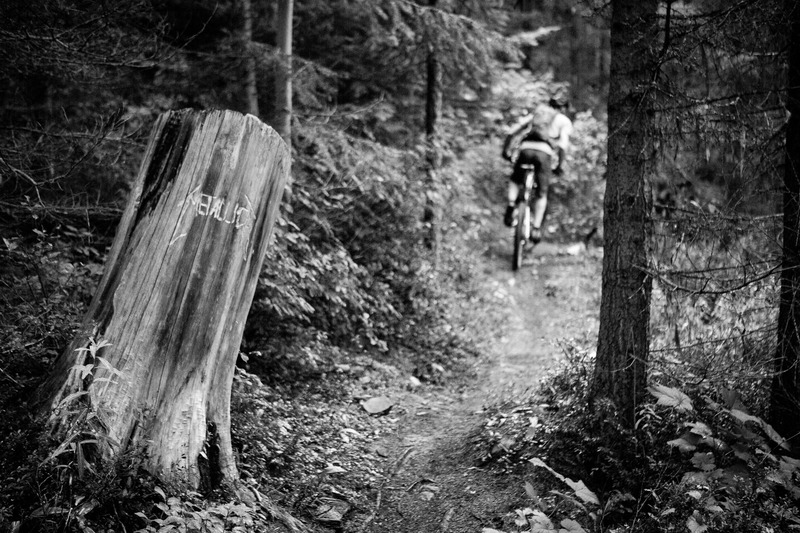 Local inscriptions on Nelson, BC, Canada trails. 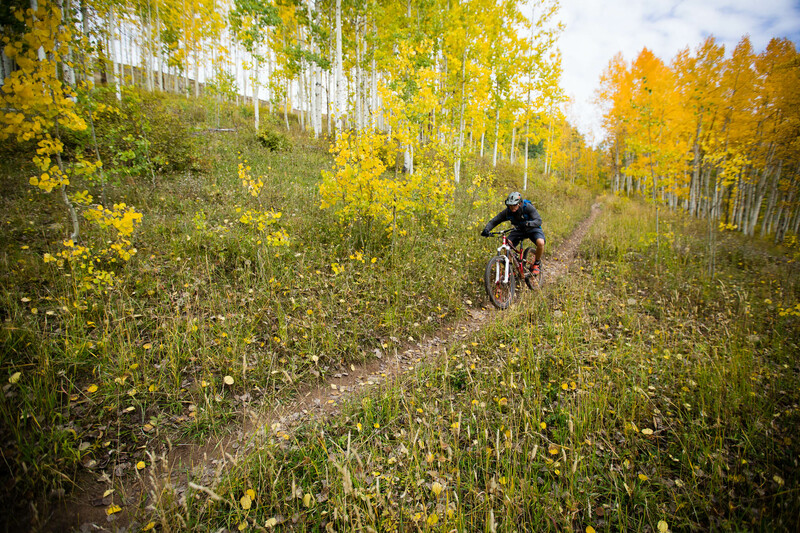 Brandon Mathis taking in the fall colors at singletrack warp speed in between Durango and Silverton, Colorado. 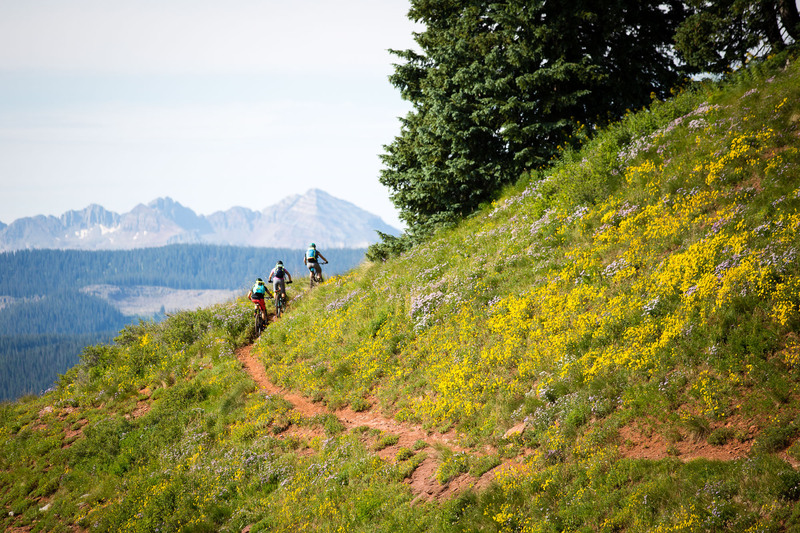 Spring flowers and mountain bike singletrack in the Colorado high country between Durango and Silverton. 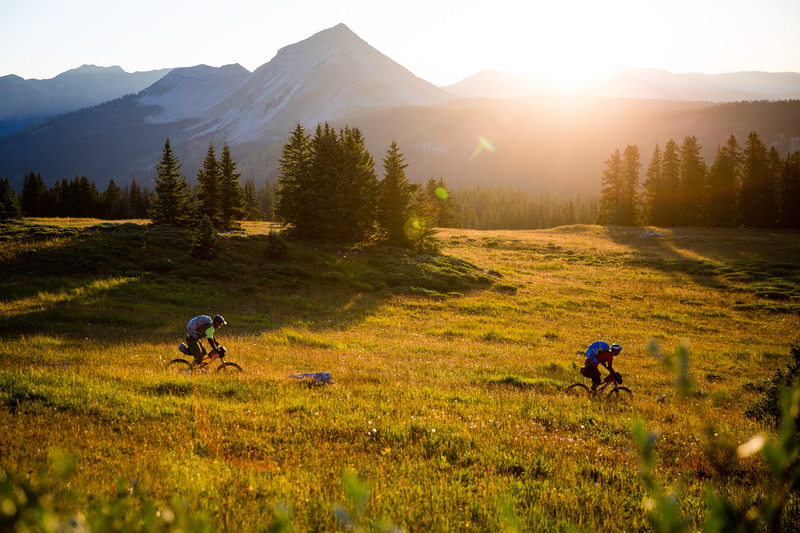 Jess Pedersen and Eric Porter riding the Colorado Trail near Celebration Lake in the fading light. 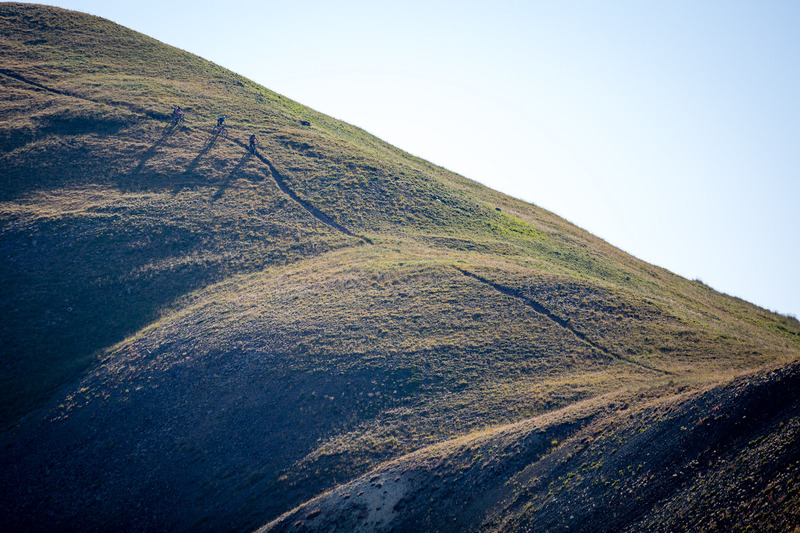 Blurring the lines on the Columbine Trail in Colorado. 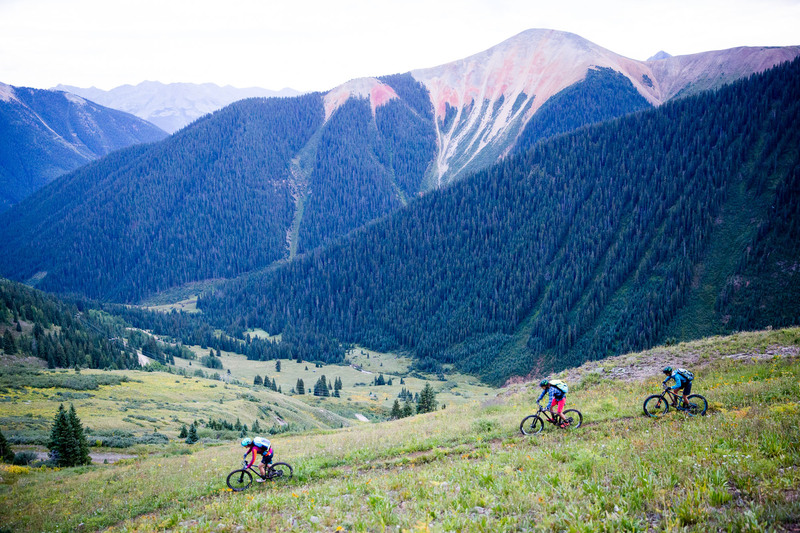 Sabina Kraushaar, Sarah Sturm and Teal Stetson-Lee ridgeline riding the Calico Trail outside of Rico, Colorado. 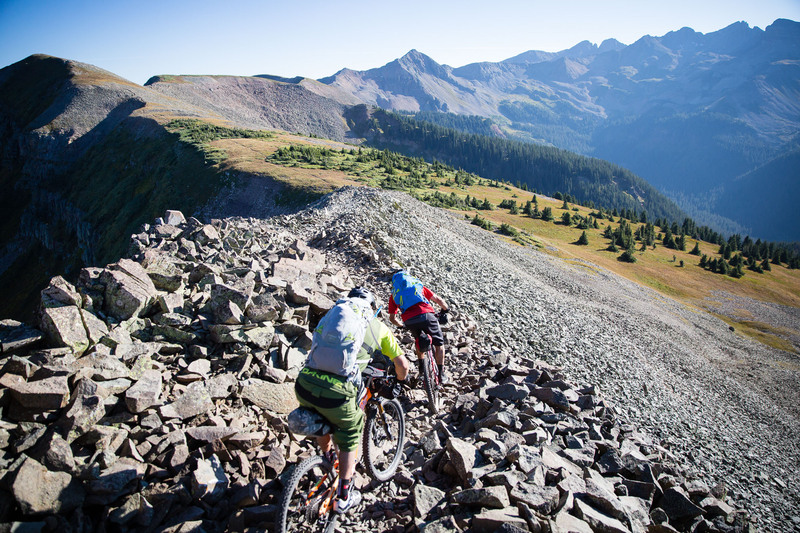 Jess Pedersen and Eric Porter dropping down Blackhawk Pass on the Colorado Trail. 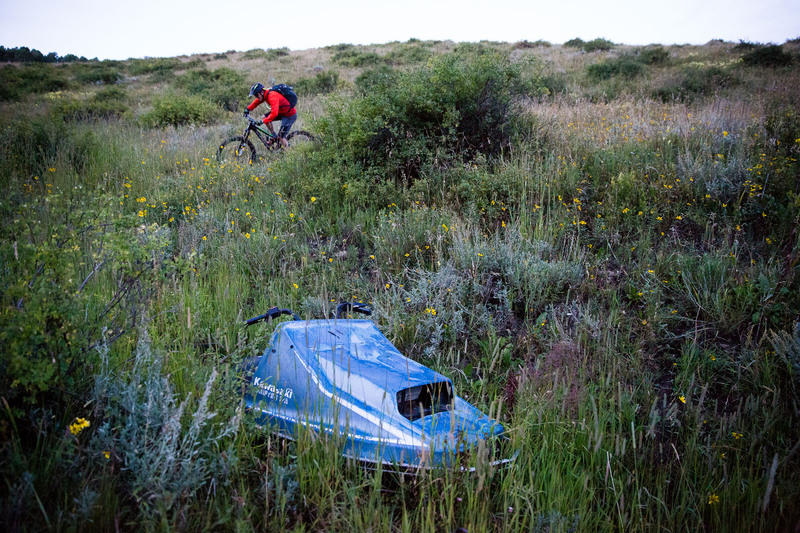 Jess Pedersen and Eric Porter roll over the chunky stuff on the Indian Ridge portion of the Colorado Trail. 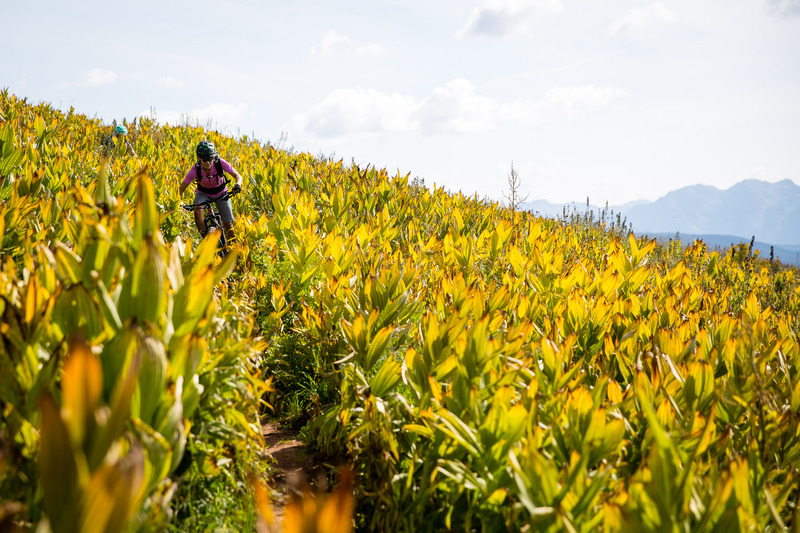 Sarah Sturm plowing through late summer skunk cabbage on the Colorado Trail. 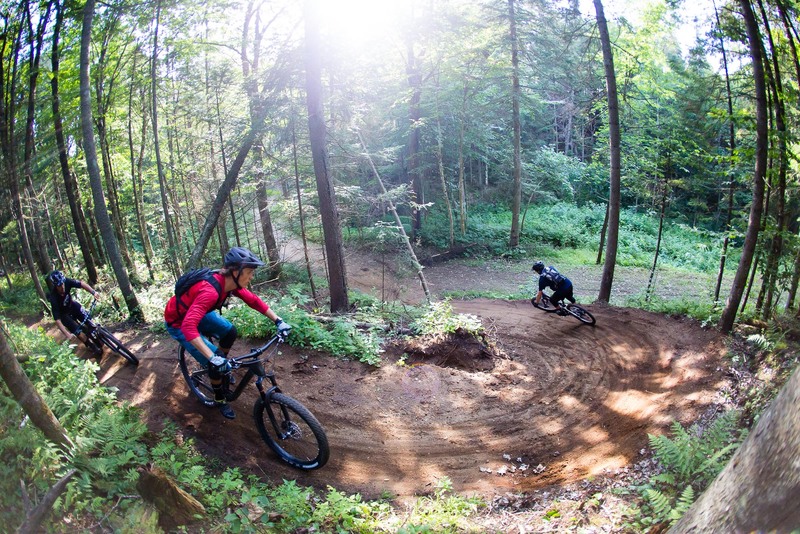 Devinci Cycles Crew David Reigner-Bourque, Julien Boulais and Sam Vallee railing a berm in Saint Raymond, Quebec, Canada. 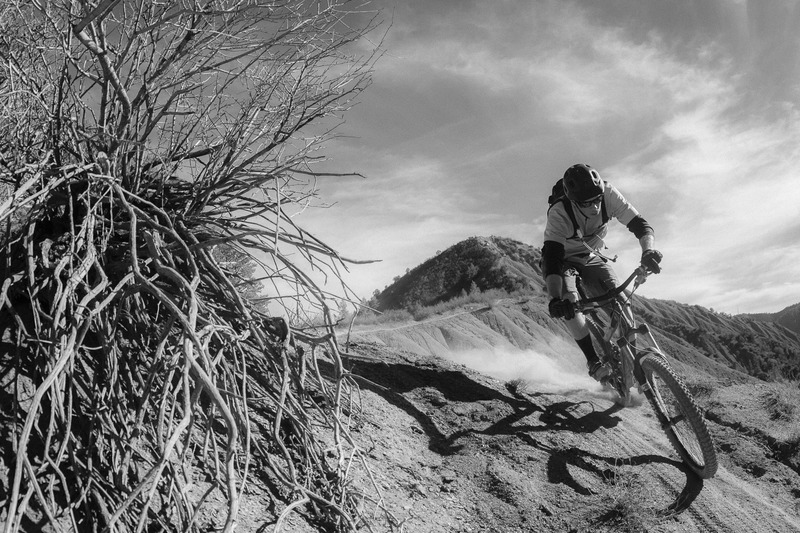 Dylan Stucki shredding lonely trail in the Abajo Mountains of Utah. 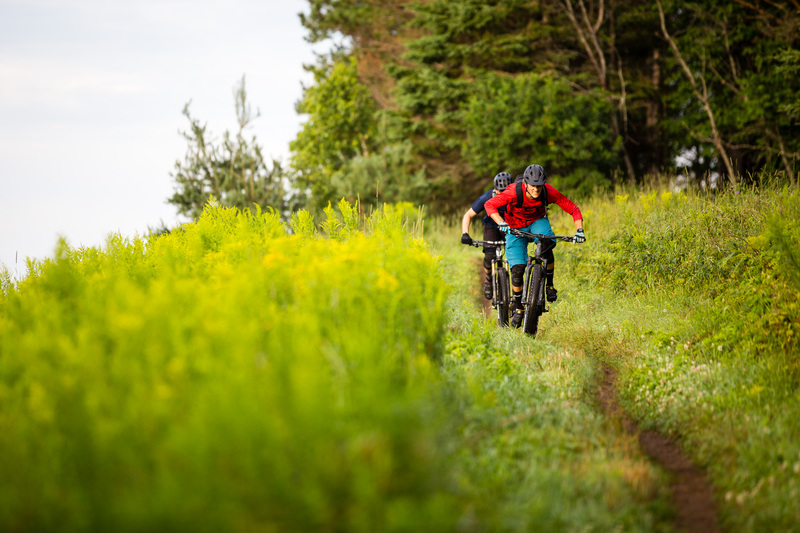 Julien Boulais ripping fresh dirt with David Reigner-Bourque in Saint Raymond, Quebec, Canada. 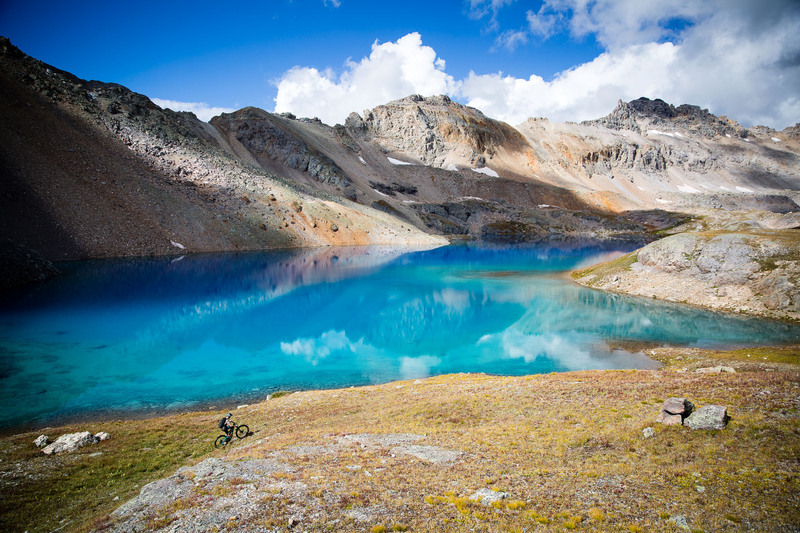 Whit Boucher riding alongside Columbine Lake in the San Juan Mountains of Colorado. 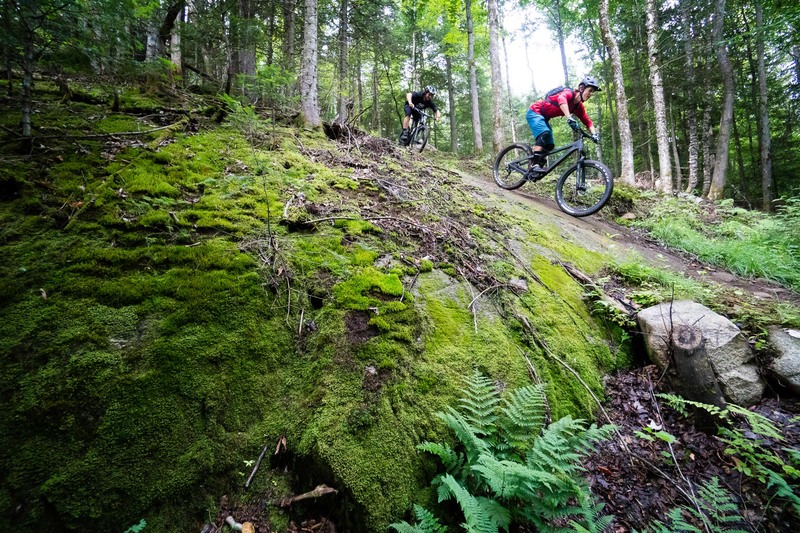 Joulien Boulais and Sam Vallee rolling boulders in Saint Raymond, Quebec, Canada. 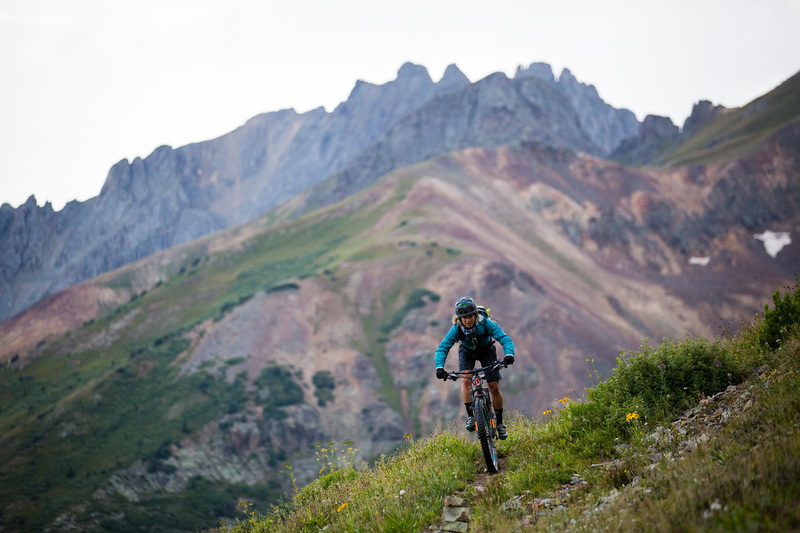 Teal Stetson-Lee, Sabina Kraushaar and Sarah Sturm rolling along the Colorado Trail. 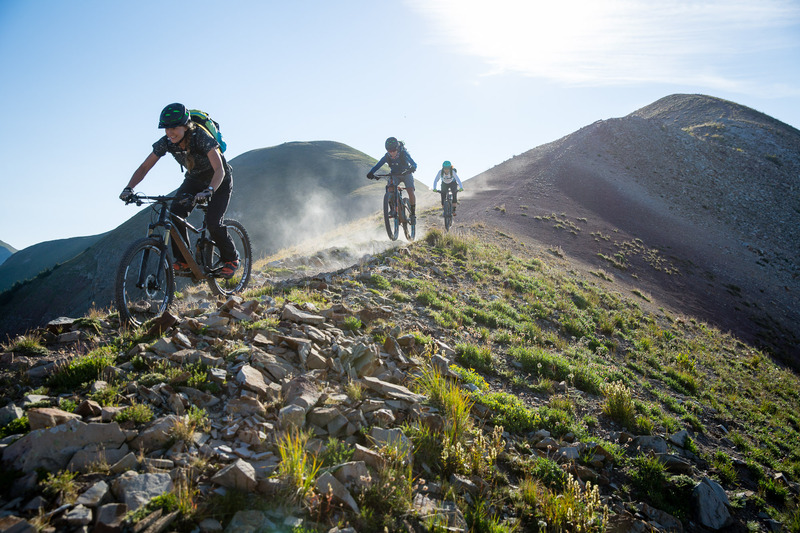 Sabina Kraushaar, Sarah Sturm and Teal Stetson-Lee riding that high desert red dirt near Rico, Colorado. 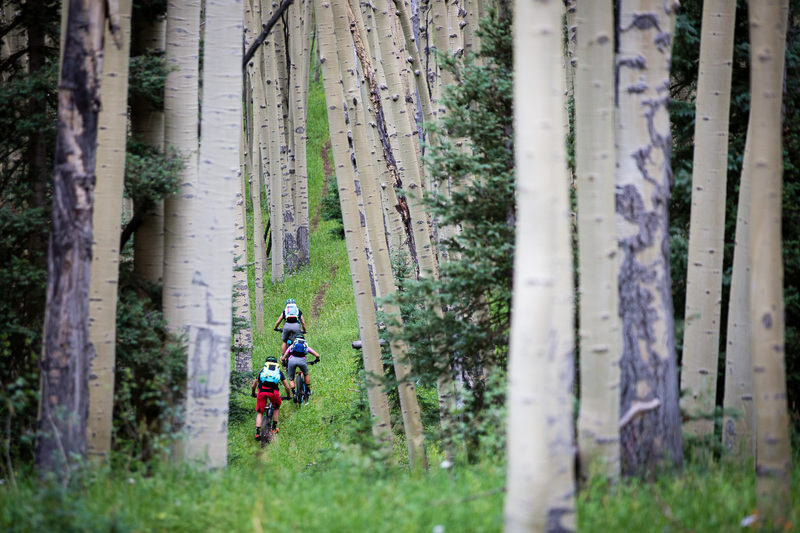 Singeltrack outside of Rico, Colorado. 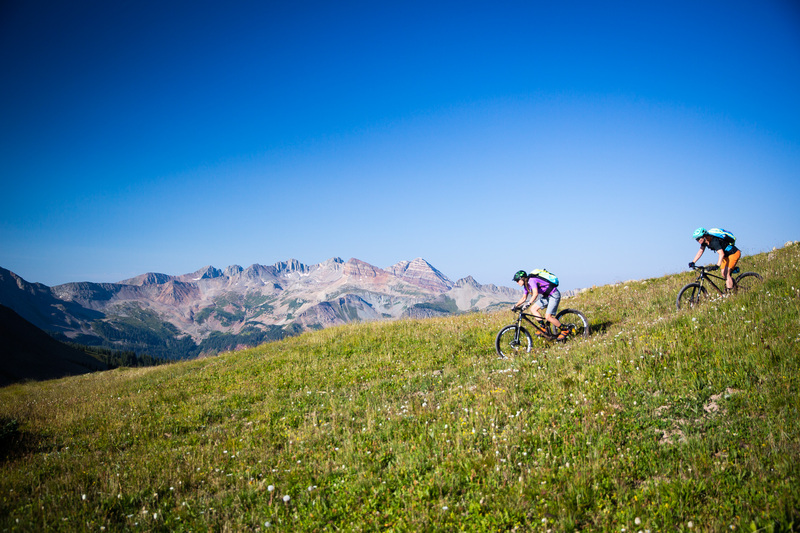 Sarah Sturm savoring some sweet singletrack at 12,000 feet amidst the massive San Juans of southwest Colorado. 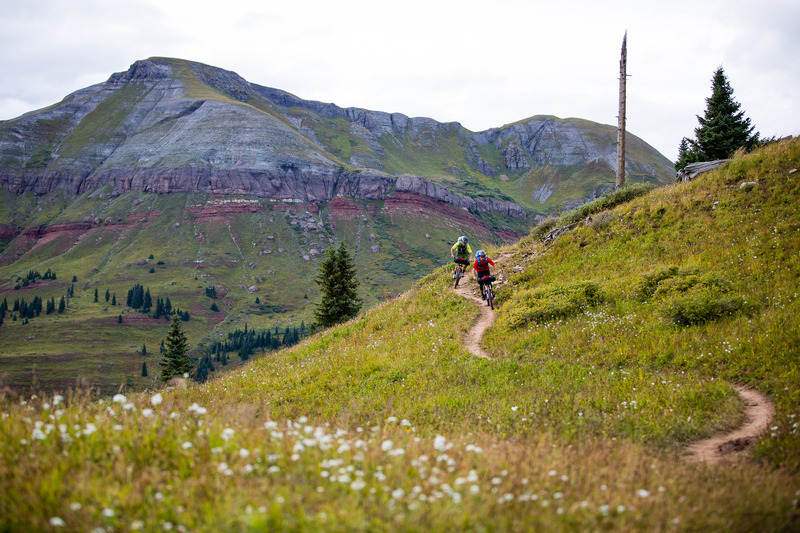 New meets old on a classic trail in Crested Butte, Colorado. 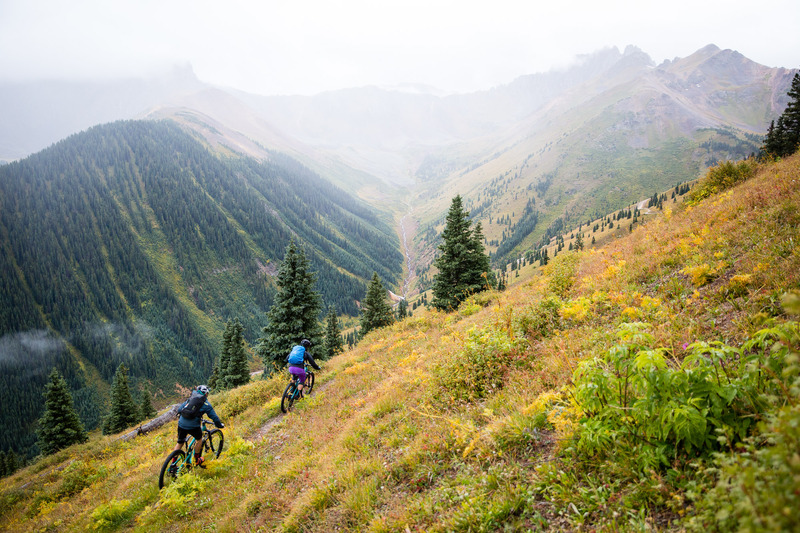 Whit Boucher and Brittany Greer riding faint trail as the storm approaches near Ophir, Colorado. 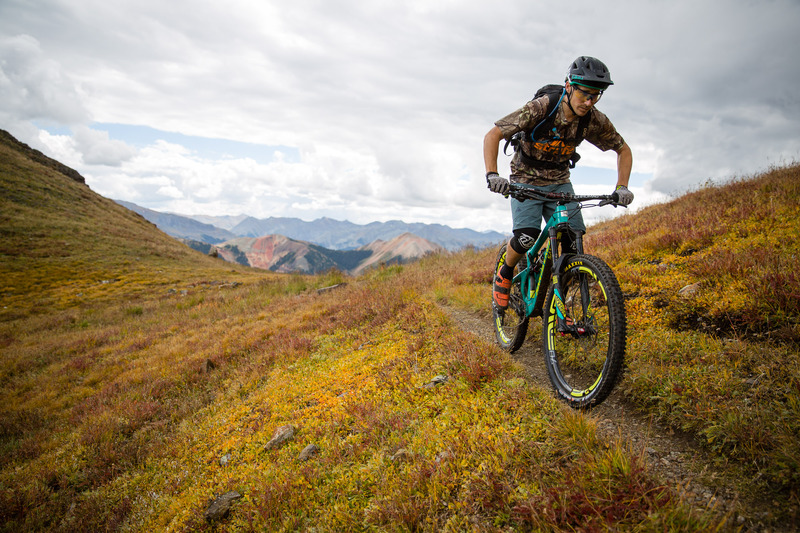 Whit Boucher frothing his way along a local loop in Ophir, Colorado. 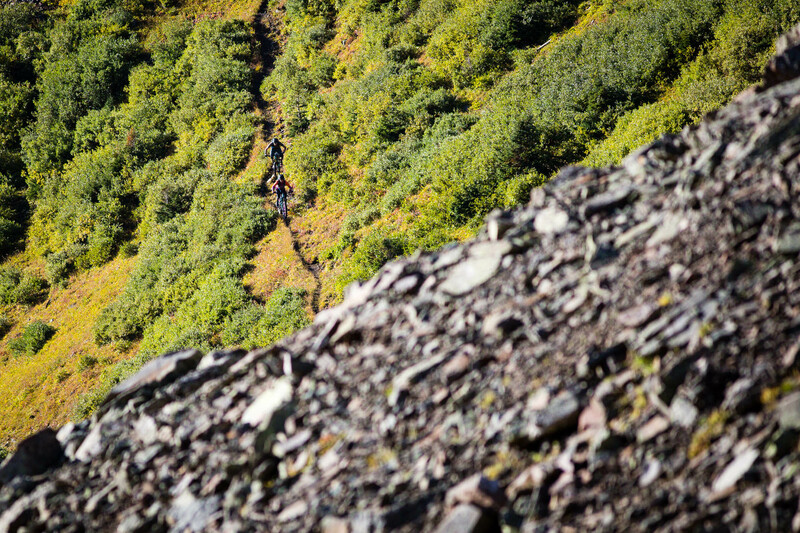 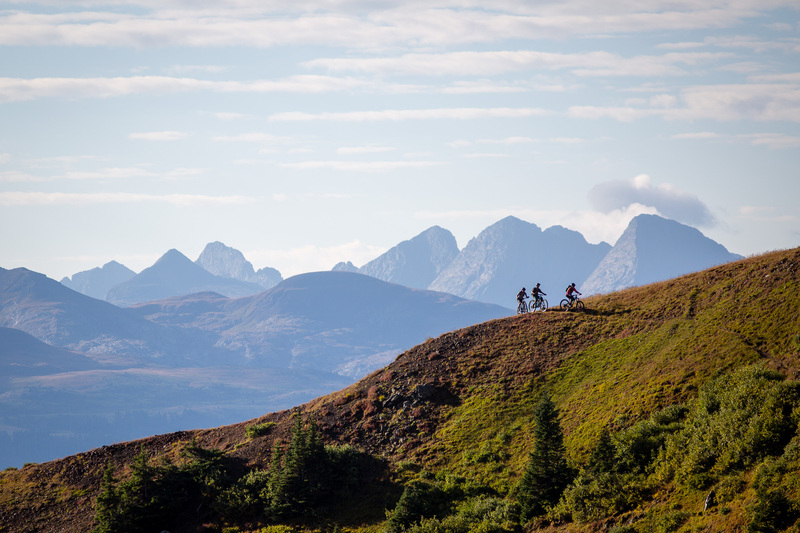 Riders on the ridge with the Weminuche Wilderness in the back. 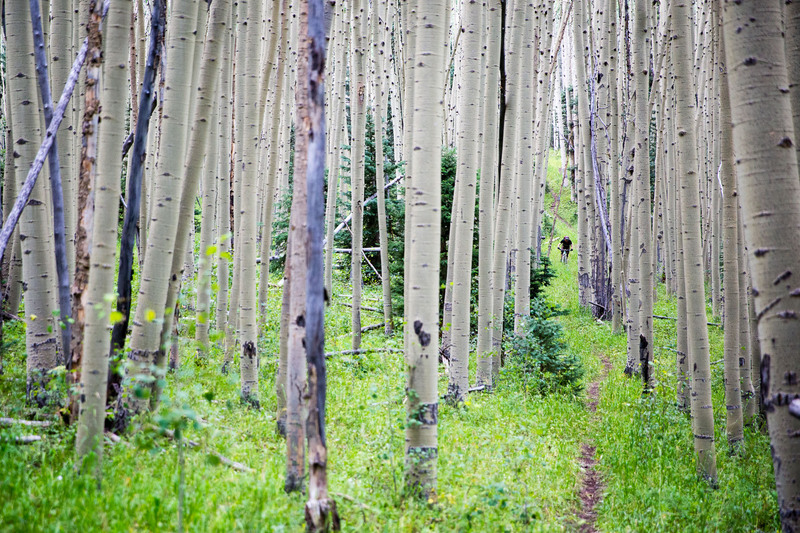 San Juan Mountains, Colorado. 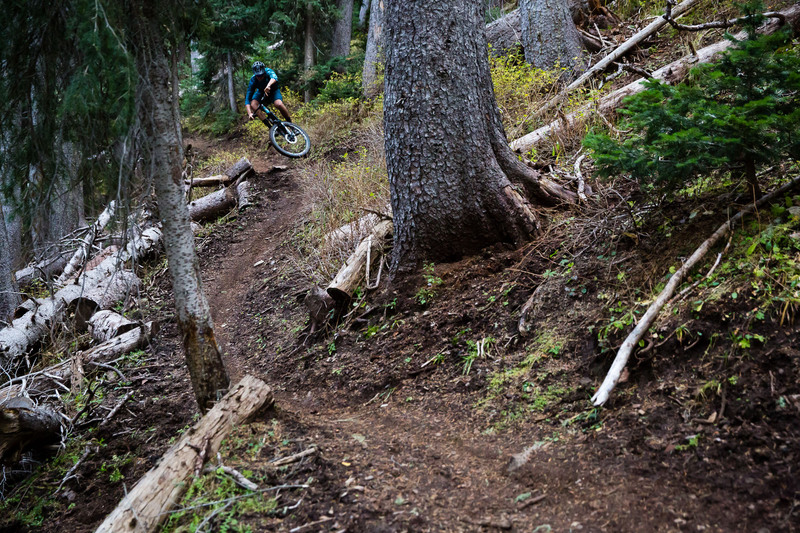 Whit Boucher navigates ledge lines on the Columbine Lake Trail in the San Juan Mountains of Colorado. 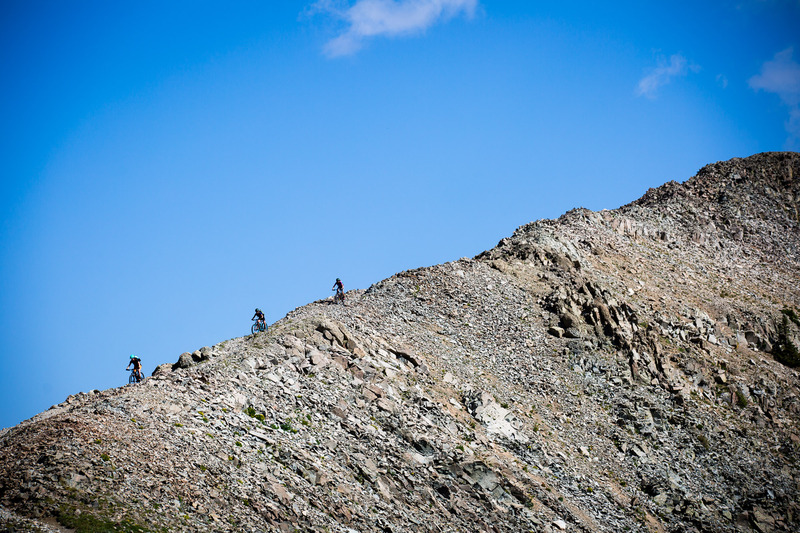 Whit Boucher and Brittany Greer starting the descent from Columbine Lake. 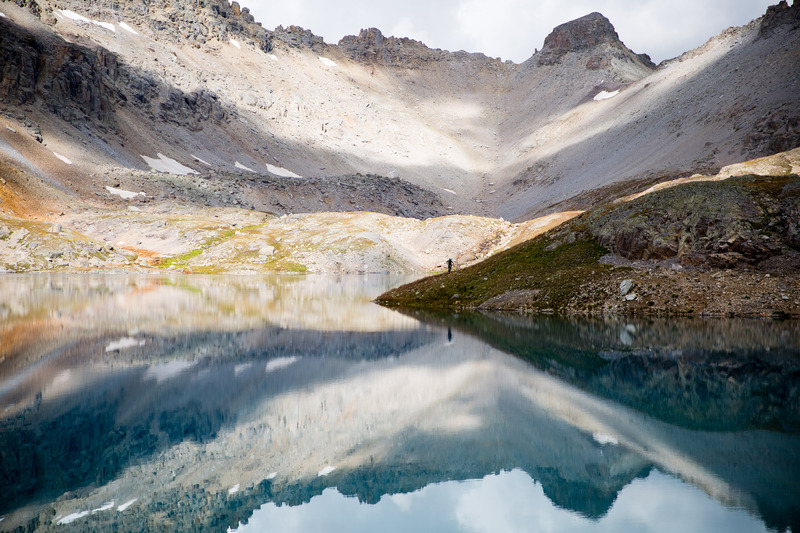 San Juan Mountains, Colorado.